At Limotek we offer a simpler way to find the right limousine to hire for your needs. National statistics have found limo hire to be greatly sought after across the UK. Trying to find the best price by calling many national limousine operators is time consuming and could be costly. The UK limousine industry contains many limo operators charging far over the odds for limo hire. Many operators now own a limousine and offer the car as an extra service at the weekend. These limo operators often give an affordable price, but are hard to find if you don't know where to look. 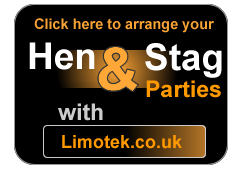 Limotek have done the hard work for you. We have hunted down affordable limousine operators across the UK, in your area ,who will provide you with limo hire at a price you can afford. Gone are the days of price hunting, as we hunt for you, a making the whole thing a more pleasant experience. No matter whether you are looking to hire a limo for a hen night, stag night, birthday party, wedding, anniversary or just a great night out, we will help you. 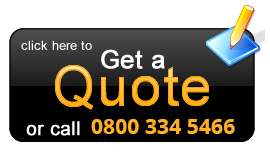 Our "competitors" work hard to collect as many quote requests as possible, without the resources to deal with each personally. At Limotek we offer the personal touch, to ensure you have all the help and advice you need to make sure your limo hire experience is as special as possible. We hire limousines, offering national coverage at prices that can be afforded AND excellent service. Contact Limotek today.